Continuing on with my self-imposed theme for week one of Dementia Awareness month 2015, women and dementia, I thought it was important to write about the women who are in caring roles for people with dementia. The research clearly shows the care partners of someone living with dementia are mostly women, and even though women also are diagnosed at a much higher rate than men, women are also far more likely to be caring for a person living with dementia. I am not going to quote research as this is a blog, and more to do with the theme, than the data, which I believe supports me on this! I have become friends with a lot of women, who have loved and supported their husbands with dementia, many of them with younger onset dementia, and many women who are caring for parents with dementia supporting them to stay in their own homes, or the person behind the placement into residential care and beyond. I have also been a care partner and legal guardian for a number of people who have died from dementia. The effort required, both physical and emotional, is enormous, and the younger to middle aged women in these roles very often have their own children and families to support as well. They have become known as the “sandwich generation“, with older parents needing care, and children still needing care and guidance. I’m not so sure about this term, as feel that Indigenous, eastern and european families have been doing this for centuries, and may have felt like the sandwich generation as well, but this is simply a part of their culture, and they want to do it. Perhaps the difference in our western culture these days is that most women work outside of the home, and also, most families I know are not so keen to have more than two generations living together to make caring for an elderly family member with dementia or other ill health or frailty, possible. If you are supporting someone with dementia, you are important. You are helping that person to continue living in the community with dignity and love. However, to keep doing this, you need to look after yourself and sometimes that means taking a break*. Whilst I have some reservations about a few things in this resource, it has some valuable information in it. Adding it here definitely does not mean I endorse it. If you read this resource, and have feed back, positive or negative, please add it here, or at least, do send it to the producers of the guidelines. My first concern with this guide is the continuing use of the word day care or day respite; in the many groups of people with dementia where we have discussed the option of respite, almost everyone has said, they do not care how good the service is, whilst the term day care is used, which implies it is for small children, they would not ever want to go there. 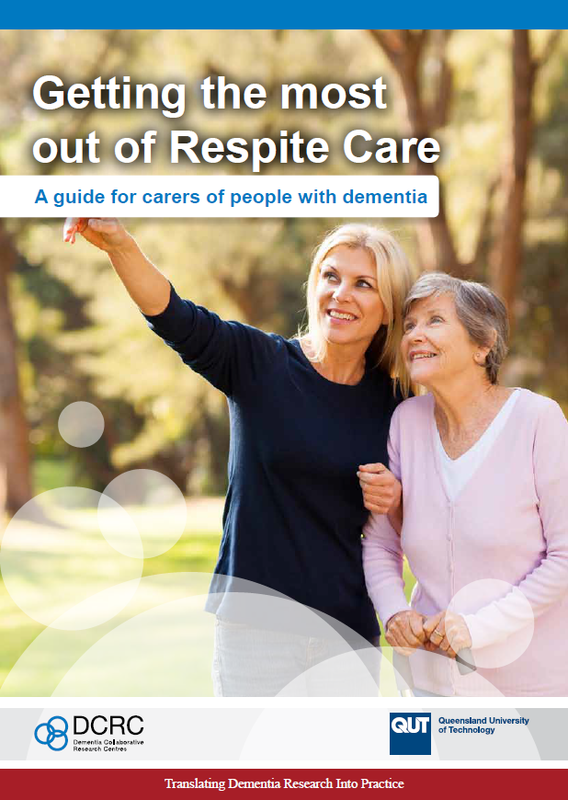 My second concern is that the resource supports the pathway of Prescribed Disengagement still being given out, and the suggestion to get acquainted with respite care sooner rather than later, also given to me when I was 50, was unpalatable, and actually, unhelpful. It does not in any way suggest support is available, other than day care/respite, and in the dementia friendly communities work I have been involved in, people with dementia want support to join clubs and do others activities in their communities, with support for their varying and changing disabilities. They [we] do not want day care/respite, we want to keep living our lives for as long as possible, with the same support anyone else with disabilities receives. And sending Kate, Fred, or Mary off to a club for the day or morning (car club, knitting group, coffee group, fishing club, bowls, etc… ) would be far more fun than some activity centre where we have to conform with the large group mentality, and activities we may not wish to do. The idea we want to sit around in activity rooms, or go on bus trips, with ‘staff’ and only others with dementia, is not only wrong, it is demeaning. Sure, later on, that may be so, but not until much later. Our care partners generally don’t like sending their family member with dementia to these things either, or even having someone sit at home to ‘keep us safe’, and so everyone remains unhappy or at least ill at ease. Thank goodness I did not take this advice. Perhaps as the disease progresses, it will be a good idea, but in the early stages, I’m not sure it is, as it sets us up to ‘give up’ and ‘get ready for care’. 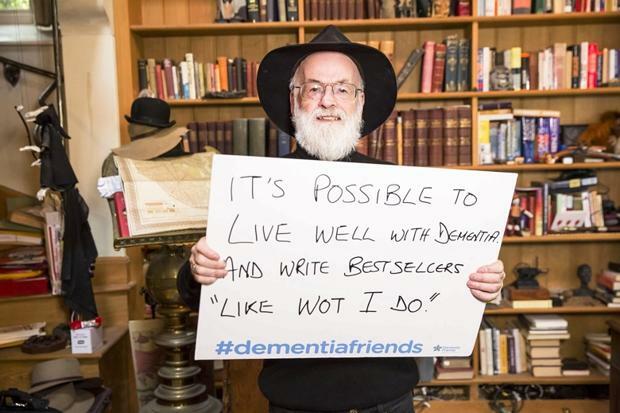 Imagine if Sir Terry Pratchett had gone into ‘day respite’ early into his dementia, and what a loss it could have been if it had stopped him writing and advocating. * If you are a support person for someone with dementia, don’t let your need to take a break, take away their life. Thanks Kate. Too many thoughts & emotions to write much now, but I know the kind of care I would want for myself & it doesn’t figure in this resource. Kate, have been following your blog for some time. I do agree that “day care” sounds like a creche.” What alternative nomenclature would work? I am working for dementia awareness and support in India and setting up a “day care” is one of the goals. Hi Daksha, many of us (living with dementia) have been discussing this a lot lately, and I think the alternatives can vary, depending on what ‘style’ or setting. I will post a blog later this week on this topic with more thoughts on the topic. I am a carer for my elderly mother with behavioural dementia. Only recently have I realised that ‘day care’ sounds like preschool rather than an opportunity to interact with other people, often often varying ages and with a variety of illnesses. So I changed my words to use the name of the club she goes to. Secondly as a carer I am juggling my own clinical depression and financial worries with looking after my mother as my father does not understand her inability to change or get better. It is very frustrating and because I am the ‘young’ person in my 40s, I am expected to shoulder a massive load without respite. I am absolutely exhausted! I had the misfortune to visit Maureen’s Uncle in his Care Home yesterday. It made me shudder and vow that Maureen will never go into a place like that so I can have some respite. Music on in the background and residents sat in chairs all looking thoroughly fed up. No my wife will never be subjected to anything like that.